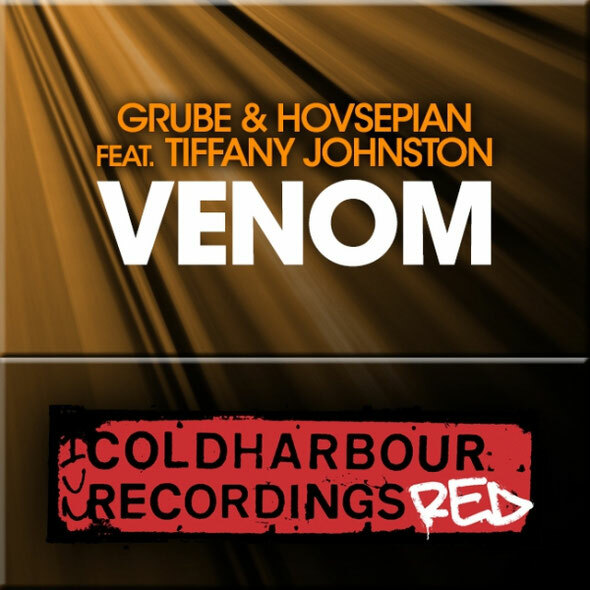 Final Tune of the Day for this week, and this time it takes a nice melodic, progressive trance feel as Miami’s Tim Grube and Los Angeles’ Mike Hovsepian join forces to produce the epic ‘Venom’, with vocals courtesy of Tiffany Johnston. It’s very much in the Oceanlab feel, although not as commercial, but you’ll know what we mean with its great 4/4 beat and haunting female vocal. Miami Life supply the remix, upping the tempo and bridging the gap between trance, progressive and electro as they give it a more commercial ‘Swede style’ mix which will no doubt have a great dance floor appeal. Our fav is the original though as music like this just lets you shut your eyes and let the track take you on a beautiful journey, whether it’s via a rammed dance floor, in a car or sitting alone in a dark room – it captures you. Coming out on Markus Schulz’s Cold Harbour Recordings label, it was first aired on his Global DJ broadcast in March and the hype has just built and built since then. It’s out on Beatport on Monday, check out the original mix below.